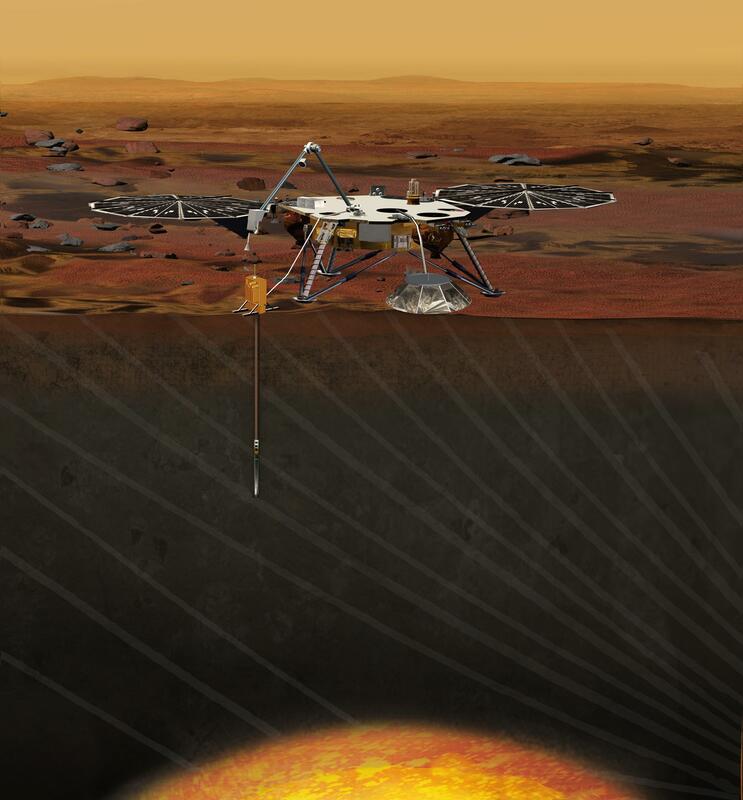 Artist rendition of the InSight (Interior exploration using Seismic Investigations, Geodesy and Heat Transport) Lander. 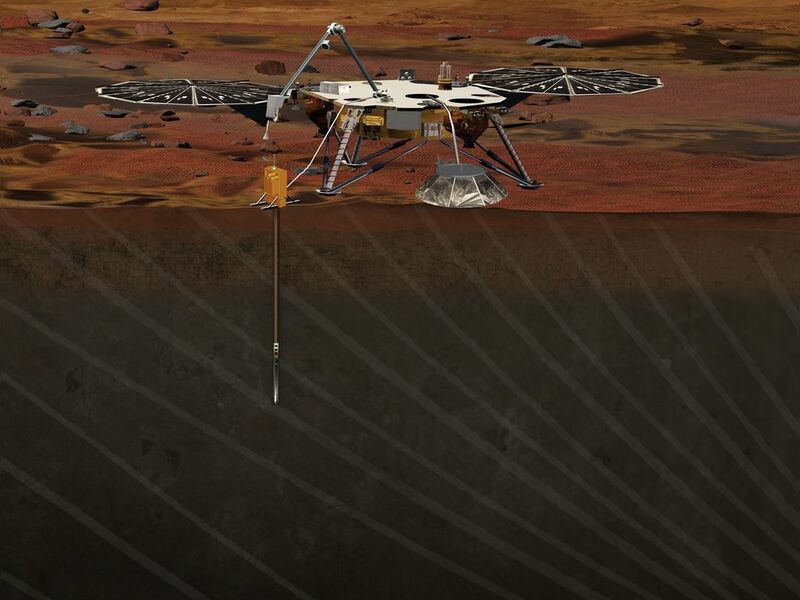 InSight is based on the proven Phoenix Mars spacecraft and lander design with state-of-the-art avionics from the Mars Reconnaissance Orbiter and Gravity Recovery and Interior Laboratory missions. InSight is a NASA Discovery Program mission that will place a single geophysical lander on Mars to study its deep interior. But InSight is more than a Mars mission -- it is a terrestrial planet explorer that will address one of the most fundamental issues of planetary and solar system science -- understanding the processes that shaped the rocky planets of the inner solar system (including Earth) more than four billion years ago. 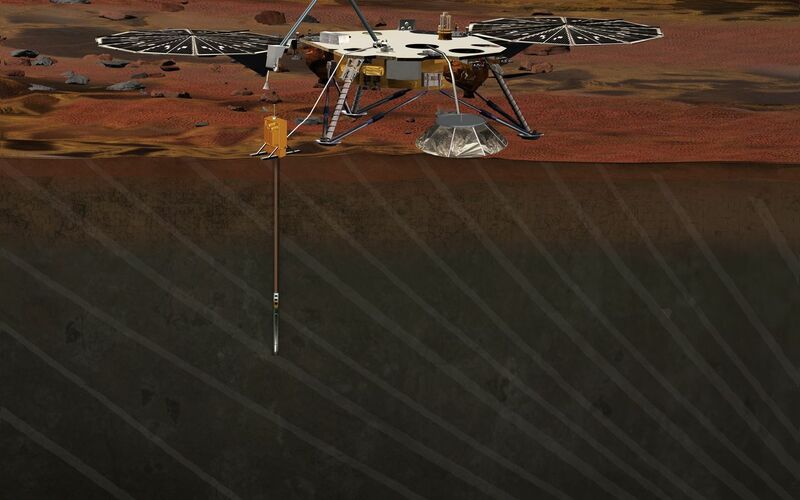 InSight is a partnership involving JPL, Lockheed Martin Space Systems, the French Space Agency (CNES), the German Aerospace Center (DLR), and other NASA centers. 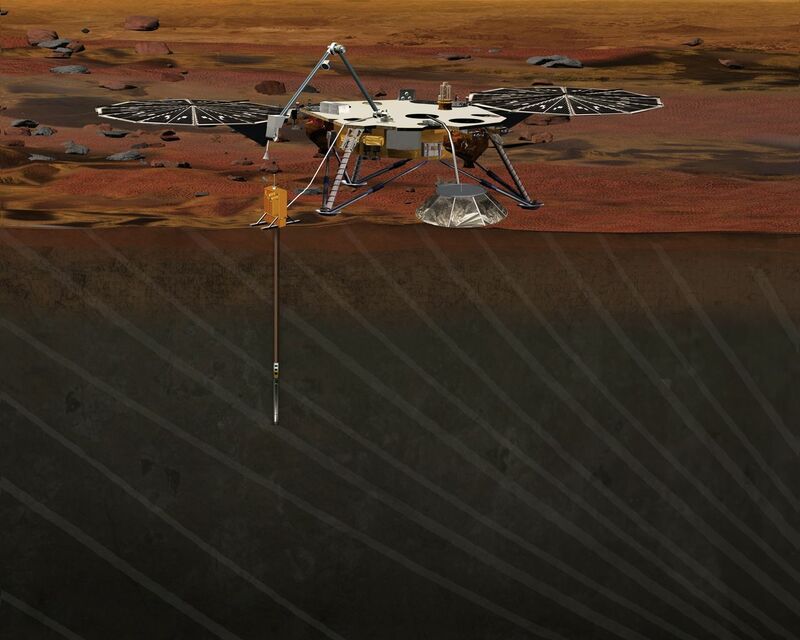 For more information, see http://insight.jpl.nasa.gov/.